. Plumb JA, Finn PW, Williams RJ, et al. 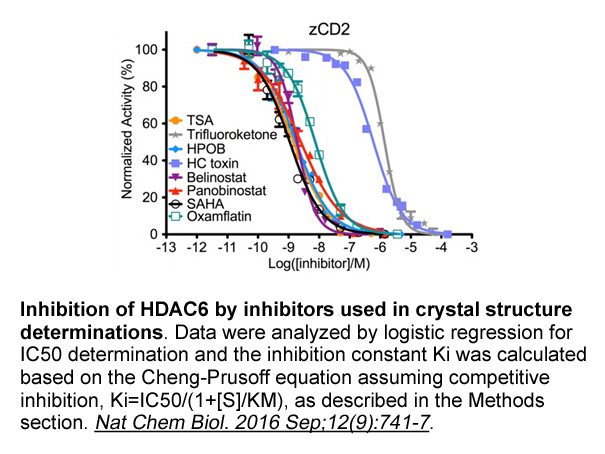 Pharmacodynamic response and inhibition of growth of human tumor xenografts by the novel histone deacetylase inhibitor PXD101. 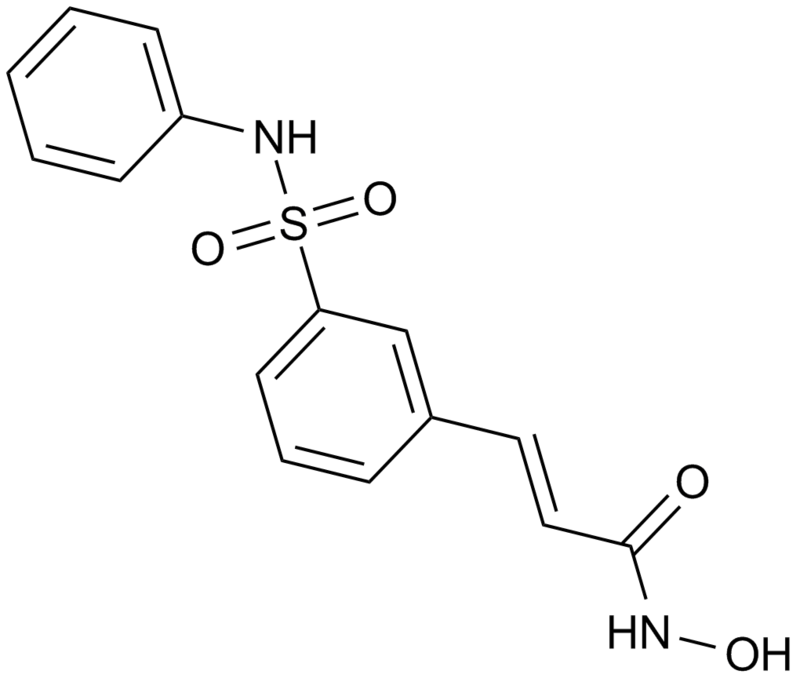 Mol Cancer Ther, 2003, 2(8): 721-728.
. Buckley MT, Yoon J, Yee H, et al. 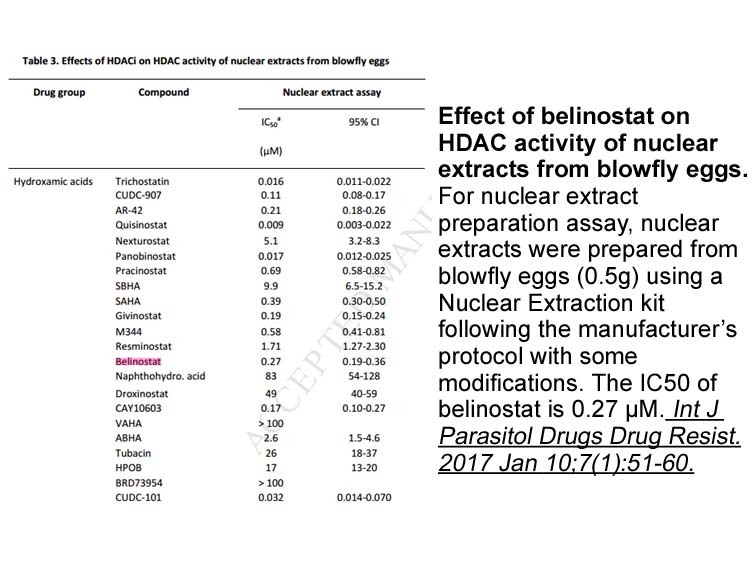 The histone deacetylase inhibitor belinostat (PXD101) suppresses bladder cancer cell growth in vitro and in vivo. J Transl Med, 2007, 5: 49. 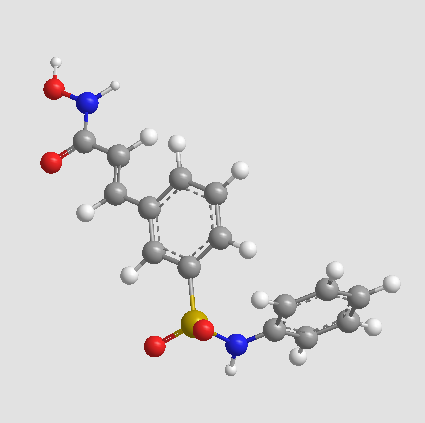 Plumb JA, Finn PW, Williams RJ, Bandara MJ, Romero MR, Watkins CJ, La Thangue NB, Brown R. Pharmacodynamic response and inhibition of growth of human tumor xenografts by the novel histone deacetylase inhibitor PXD101. Mol Cancer Ther. 2003 Aug;2(8):721-8.